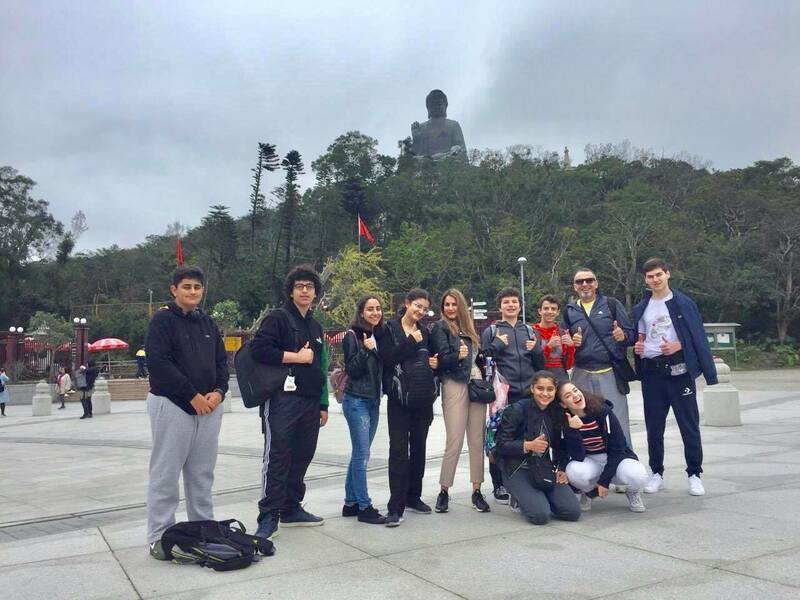 On the second day in Hong Kong, we headed to see the “Big Buddha”, yet the way getting there was a thrill, as we took the cable car and admired the beauty of Hong Kong from a top view including the green forests that spread for miles and the shore that spread into the ocean. Upon our arrival to the mountain, where the big Buddha is located, we walked through the “Wisdom Path” and observed unique architecture before climbing up the stairs to reach the bottom of the huge statue. This was a new experience, as the culture and tourism features of the Chinese is very different than in Jordan. My favorite part was the glass floor in the cable car and the friendships we have developed as a group along with the laughs we’ve shared.